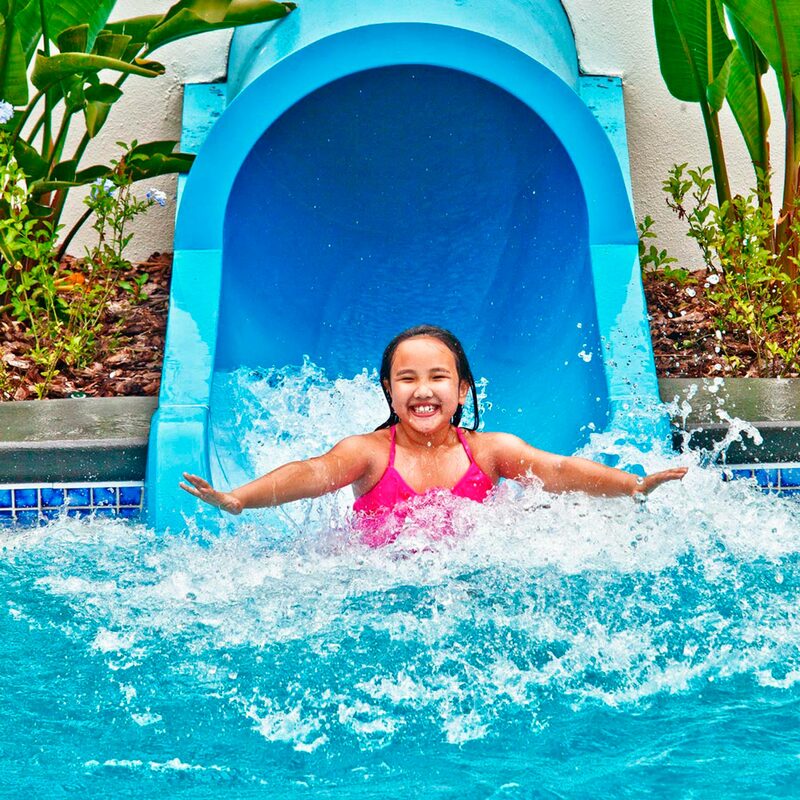 Photograph of a child having fun on a pool slide. Photo taken by professional lifestyle & commercial photographer for the Sheraton Hotel in Lake Buena Vista, Florida. By Joe Brooks.